2016 has come with so many changes in Google already. Just recently, Google has informed of a new search result format, the rich cards, that’s going to take over the world of SEO in a storm. In the years to come, SEO is only going to gain more prominence and in future, it might replace the entire traditional marketing platforms as it aims to top your rankings on search engines, boost your visibility online and drive a significant amount of quality traffic to your website. After all, what’s the purpose in creating a website with all the right content and imagery if there are no visitors to it? SEO or search engine optimization is a set of tasks and techniques that aims at escalating your visibility in search engines in the form of high rankings. 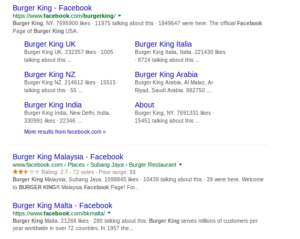 Search engine rankings change from time to time (that’s normal, of course!) but it’s important to keep your website updated with new content that’s outstanding quality wise. This helps in regular streaming of traffic to your website. Ever after the Mobilegeddon update that came through on April 21st, 2016 it’s necessary to optimize your website for a mobile search. Your audience is scattered in various places and they use different devices to access you. If your site isn’t mobile friendly, chances are you may be removed from the mobile search results. Look at these stats to see how mobile ad spending is predicted for the years to come (Source: www.smartinsights.com). Social media signals will evidently be part of the number of Google’s processing signals in 2016. 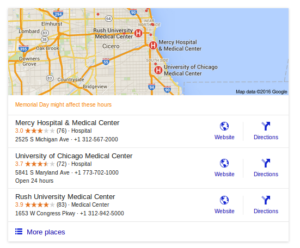 Google is now offering semantic search results since the pigeon update. 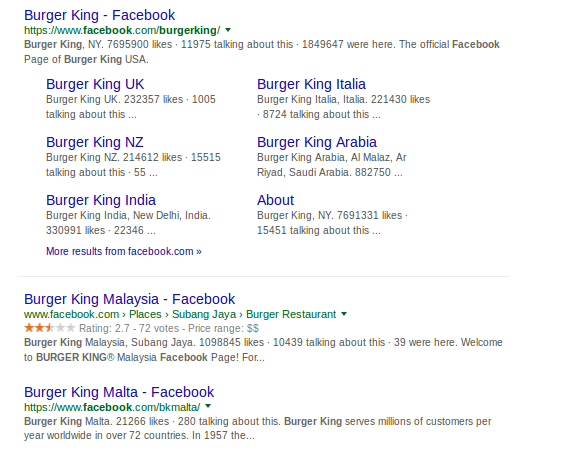 That’s the search results are customized on the basis of location and the search intent of the user. If a person in New York is searching for “Hospitals”, he will get a list of Hospitals in New York. If you want your business website show up on location based searches, you need to let Google know where your location is and what your business is offering. As per the stats provided by searchengineland.com, you will be convinced on how local SEO is a prime ranking factor on Google. 68% use the “Get Directions” or “Call” buttons. 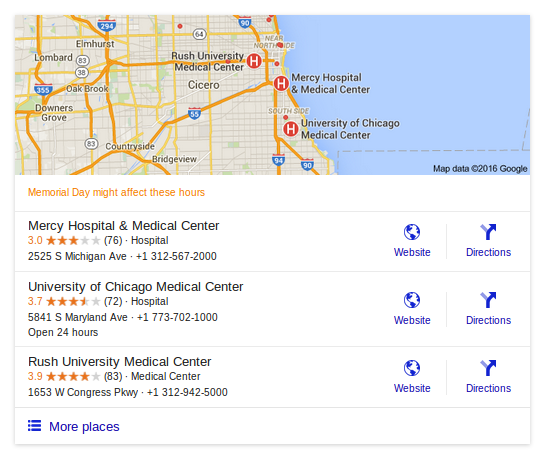 So make sure you’ve listed your profile on Google Business Pages and place-marked your business in “Google Maps”. 4. Backlinks are still significant! They will again be part among the 100s of signals Google uses to process the search results and hence the continuing one among the “SEO trends 2016”. You will need backlinks from a bunch of different domains. How to get these backlinks? Spamming 100s of websites with comments and leaving link there? No! The best back links are the ones coming from websites with high amount of authority (PageRank) and high trust value already. The most significant way to get links is by creating fascinating and shareable content that’s linkable. 5. The fad for mobile apps will grow even more! Mobile apps account for more than 52% of the online time spent by the users on a smartphone. This is one of the reasons why all businesses wishing to expand their share in the market, should develop mobile apps. Mobile apps that feature a certain brand, like Amazon or Flipkart, is now becoming more and more common these days. The future for mobile apps is so huge that it’s predicted to replace even the desktop and mobile friendly websites. 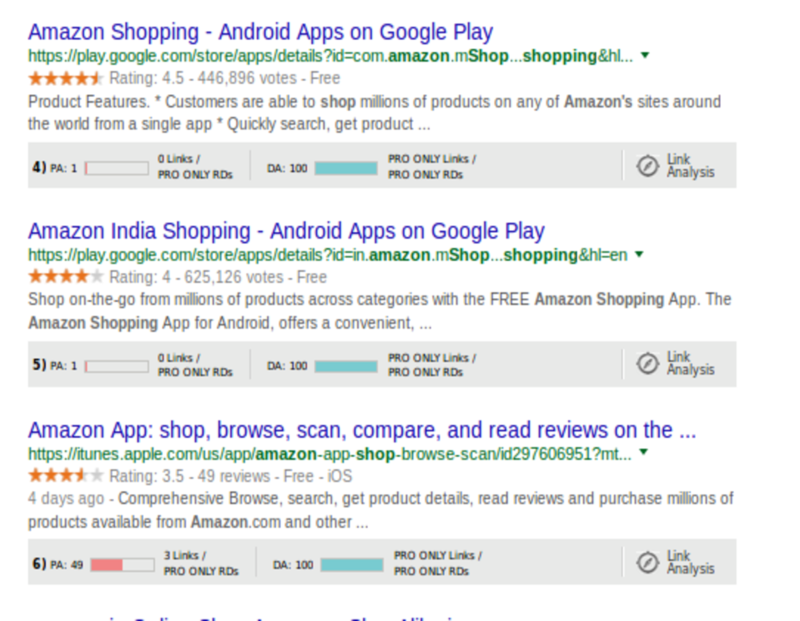 Already, Google shows up the mobile apps featuring the brand you are looking for in mobile search. As revealed by Google in their official blog on May 17, 2016, websites which feature recipes and movies are entitled to enhance the search engine traffic with a new opportunity to stand apart from other websites called the rich cards. 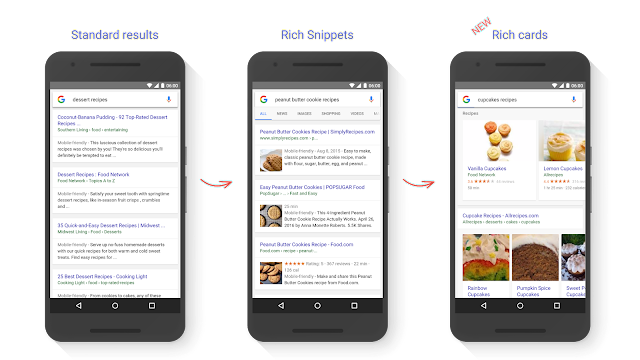 Another form of rich snippets, they use the schema mark up to show their content in a visually appealing way with rich content and prominent images. Rich cards focus on giving the mobile user the best experience and all the information he wants on the go. The rich cards come with an exciting feature wherein you can track the user activity on the same with a Rich Cards report offered by Google Search Console. The voice search is another functionality that’s part of the “SEO Trends 2016”. People use the voice search function when they are driving or multi-tasking. 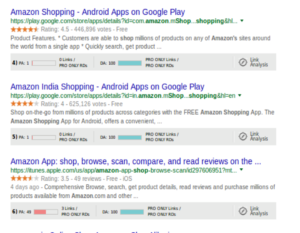 It is becoming more significant in mobile searches as it saves the user the time and effort to type in a search query. Almost all devices like Microsoft, Apple and Google Now (Android) use the voice search function- that is, the Cortana, Siri and Google Now. To make sure your website is optimized for a voice search, use the list of long tail keywords that have chances of being spoken out by a person conducting the search. 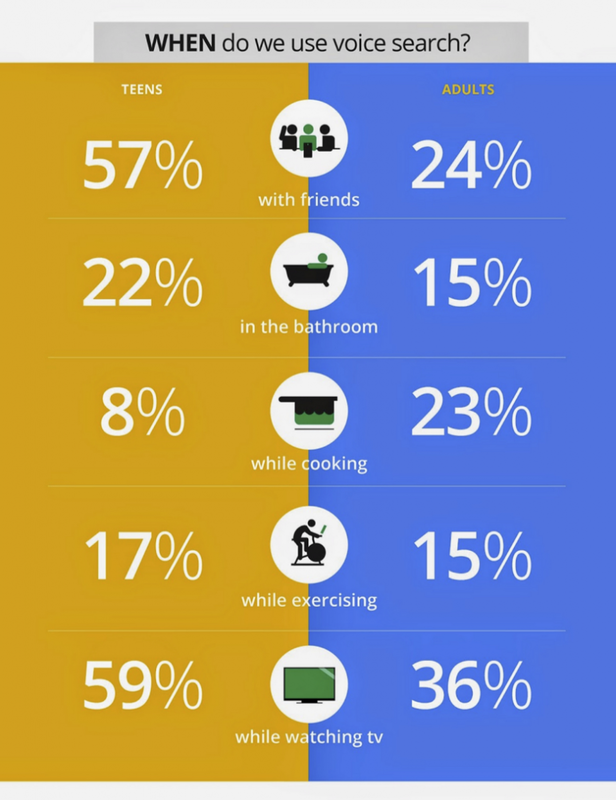 Check out the image below to see what category of people use the voice search as well as when do they use it. They will always be part of SEO Trends forever. A content that’s good quality wise and that’s able to get more links will always rank higher on Google. The best content is one that’s easily readable and interesting as well. Visual content like videos also render the content more shareable. Make sure you always update the content on your website for regular traffic and revisits. As for keywords, even if it’s not a ranking factor on Google, it’s a must for devising some specific keyword strategy. Choose from an array of related keywords and create a content that revolves around it. Also try not to stuff your keywords and if you are looking to add more keywords to your page, it is suggested that you expand your content as well. Even though the SEO trends are likely to change again and again, we expect that the above 8 trends are the most dominant ones in 2016. While some trends may vanish, some of these trends will rapidly advance and outlive the others. In spite of that, we surely tell you that by adopting these “SEO trends 2016”, you will be in the vanguard of the digital market for 2016.